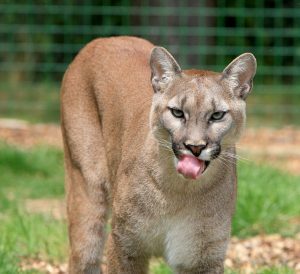 Are Hybrid Cats Really Dangerous Animals? Hybrid felines are seeing a growth in popularity recently amongst cat fans. 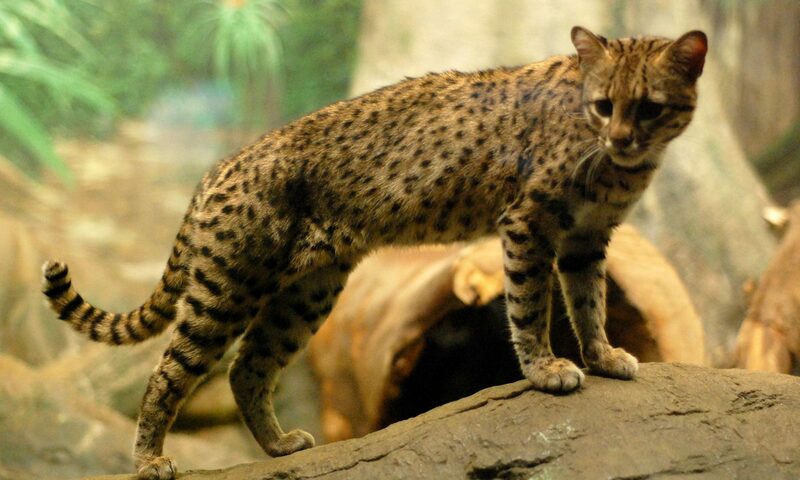 Originating from a cross between domestic cats and wild felines, the most famous is the Savannah cat. 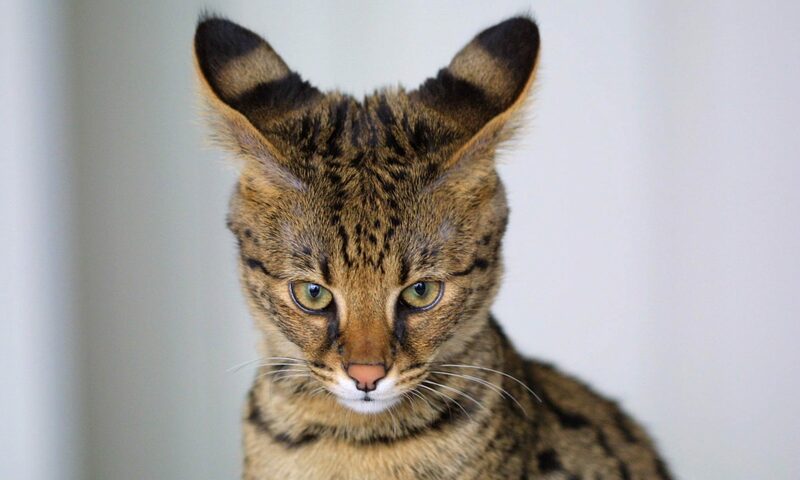 These hybrid cats are attracting people around the world thanks to their exotic looks. In the United States, people are becoming very fond of these special cross breeds. People like the idea of having a wild animal in their home. However, specialists are starting to regret their overly relaxed legislation surrounding these animals. Animal protection groups who are worried about the consequences of the presence of these cats in homes have started a petition to limit the ownership and breeding of such creatures in the country. 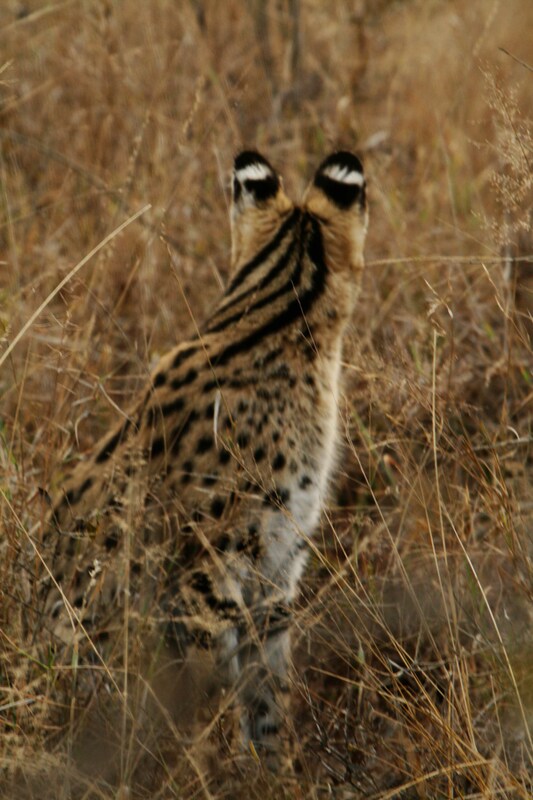 The main arguments by petitioners is that these hybrid cats may not only have the appearance of their wild ancestors. Some believe they may have the behaviour of them too. This could very quickly lead to issues in the home. 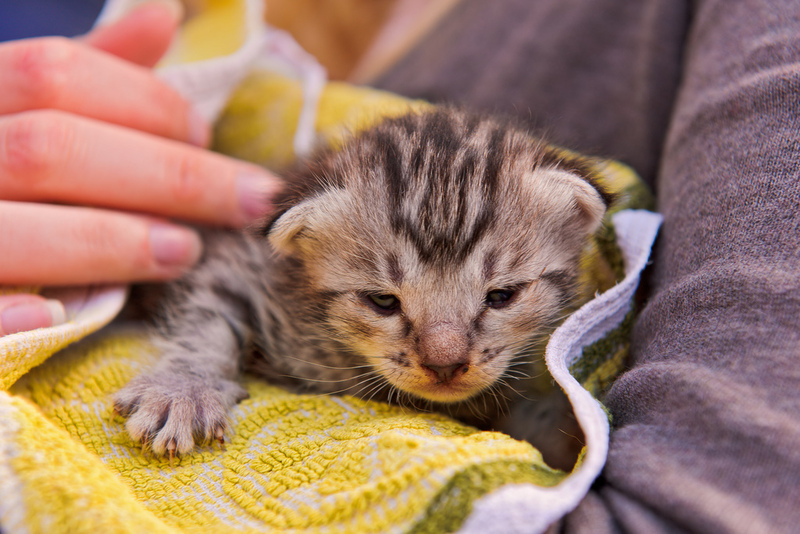 “They may be great at the beginning when they’re small but by growing up and getting bigger, they can soon become too big for people to take care of.”, explains Daniel Lutz, member of the Animal Legal Defence Group. Just like the other signatories of the petition, Daniel Lutz fears that these very needy hybrids will end up being abandoned by their owners. However, as we know, there are already far too many feral cats. They already pose problems like the endangerment of species serving as their food. Therefore, you can already imagine the consequences of a population of feral hybrid cats causing more damaged than their domestic partners. The petition therefore, is asking for hybrid cats to be treated in the same way as large cats like the Lynx and Puma. This would mean the size of their population would never get out of control. Along with those agreeing to this petition, there are four sanctuaries of large cats. They are conscious of the impact a population of hybrids could have. As part of the proposed restrictions, the petition says that cross-breed animals will automatically be sterilised. People will need a special licence to adopt these hybrids. Hybrid cats used as pets must be at least of fourth generation since the cross breed. Of course, being so strict, these proposals haven’t gone down well with everyone. Most notably, breeders of these special breeds because in their eyes, these cats make fabulous pets. And have already proven themselves to be great with children and other animals. 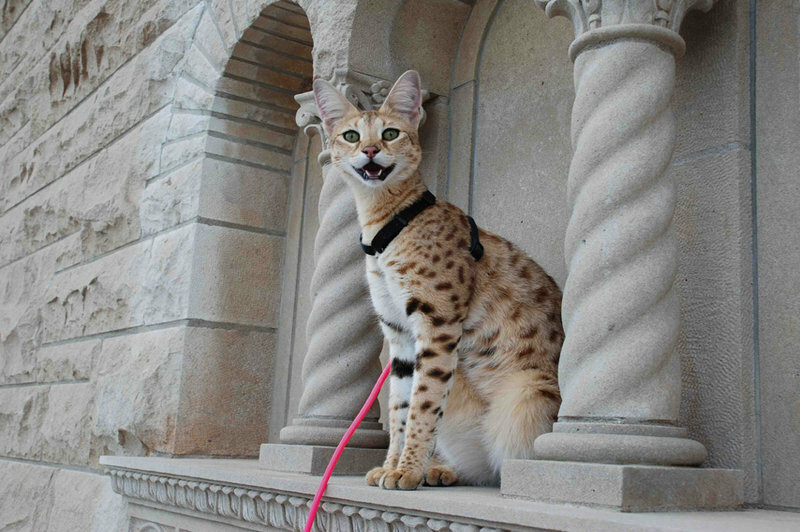 The Savannah cat is an enigmatic and intrepid cat. They are not easy to get if you haven’t had much experience with cats. They are very intelligent and curious but can be agitated and particular. Find out more on their origins and characteristics. 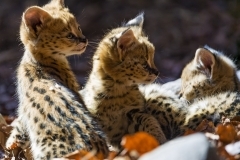 The history of the Savannah cat goes back to the 1980s. 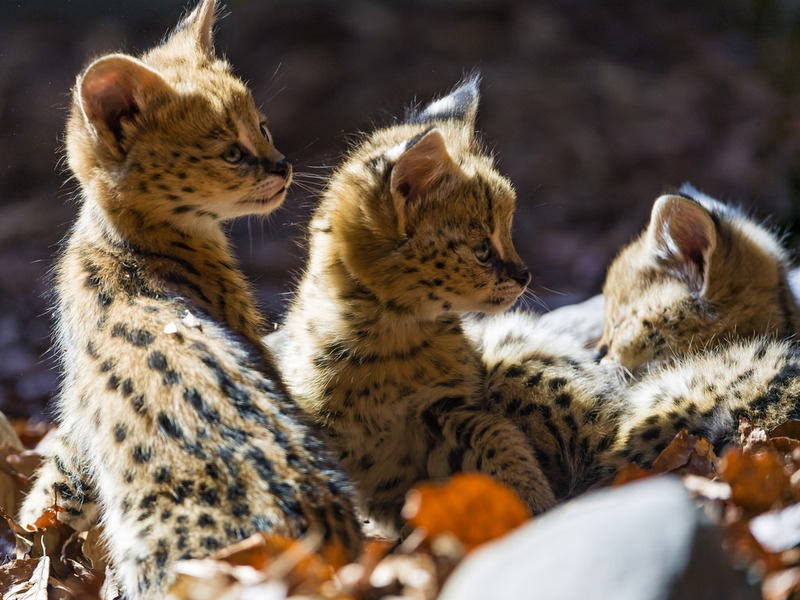 They were created through the breeding between domestic cats and the African serval, a wild cat living in the Savannah which inspired the name: Savannah Cat. It was in 1986 that the breeder Judee Frank created the breed through simple breeding of the two species. 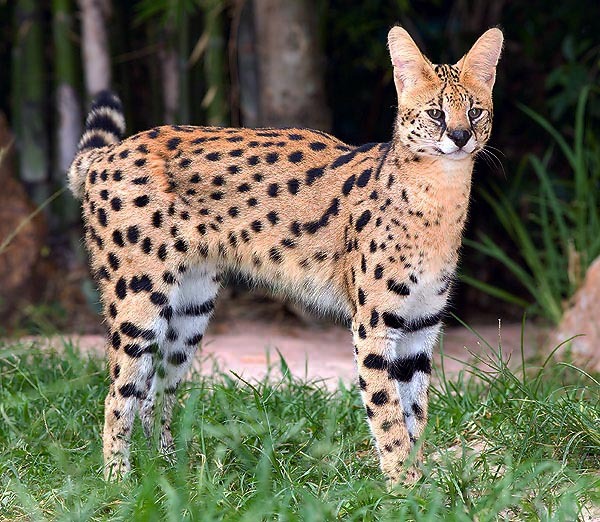 This first generation hybrid was the first Savannah cat in history. They love to spend time with their owners making them act more like dogs as they can be educated. In fact, many learn to sit, lie-down, as well as many tricks. They are great at escaping as they can jump very high and have a tendency to fit in small places. 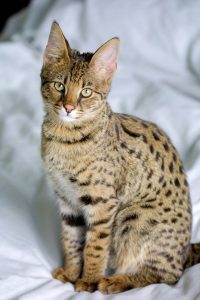 Make sure to keep an eye on your Savannah cat to be sure it doesn’t run away. 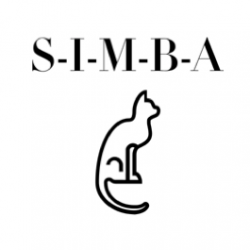 They are very sociable cats that can get on well with different kinds of animals and humans. Despite this good behaviour with people in and around the house, they are not considered true domesticated cats. These hybrids are classified with the letter “F” followed by a number. This represents the generation of domestication (F1, F4,…). They have a wild and exotic appearance. The larger ones can grow up to 23 kilos in weight. They have very few health issues. They have an attribute called “hybrid vigour” signifying that they have a strong resistance to illnesses. Their life expectancy is about 25 years which is a lot higher than domestic cats. Head : Of average size compared to its body. A large and long nose with average size, slightly rounded eyes, in green, brown or yellow. Body : long, tall and slim. 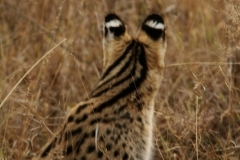 Tail : long, thin with dark circles going down the length of it. Colour : accepted colours for this breed are coffee, orange, grey or silver with dark or black markings. Fur : this is the most visible characteristic, it is short, precious and soft to the touch.